Have you applied for the $100 voucher for your children's sport fees? From 31 January 2018, parents, guardians and carers can apply for a $100 voucher per calendar year for each student enrolled in school. The voucher may be used with a registered activity provider for registration, participation and membership costs for sport, fitness and active recreation activities. The voucher can be used at any time during the calendar year it was issued. To use the voucher, give your voucher details to an approved Active Kids Provider. 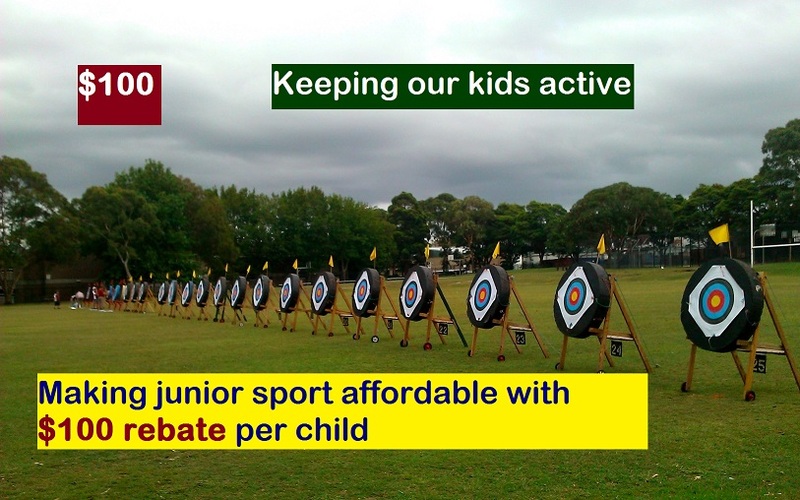 Warringah Archers is a registered Active Kids provider for the NSW Government's Active Kids Program. Parents who wish to access the $100 Active Kids voucher simply need to register online with ServiceNSW to receive their voucher to provide their approved sport or physical activity club or organisation. For more information visit Active Kids or phone ServiceNSW on 13 77 88.